The Simoncini hotel has rooms in purified style and a smart foyer. You will be able to admire works of contemporary art on the whole of the building. It is located in the town centre of Luxembourg, shelters an art gallery and enjoys a situation of choice near the places of business and the downtown. We consider various areas at the disposition of our customers to be receptions, seminaries and feasts. Please note that the Simonicini hotel has no restaurant, we offer you to have a meal in Café Français. The Simoncini hotel provide an Internet Wi-Fi connection, in the lobby and filaires in all rooms (cable network available at reception). 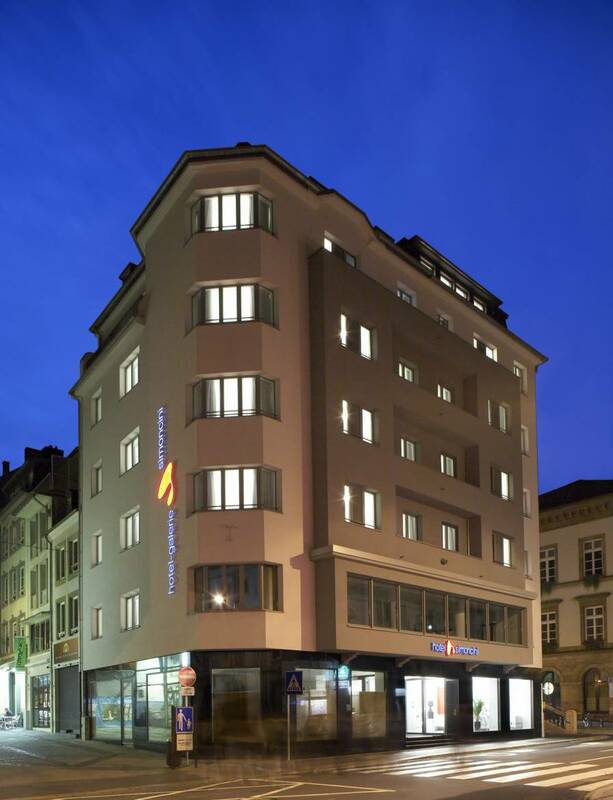 The Hotel is located in the middle of the city, in the corner of the monument of memory Gëlle Fra on the place of Constitution and cathedral Notre-Dame of Luxembourg. Railway stations road and rail are approachable in some minutes, as well as the national and European institutions.